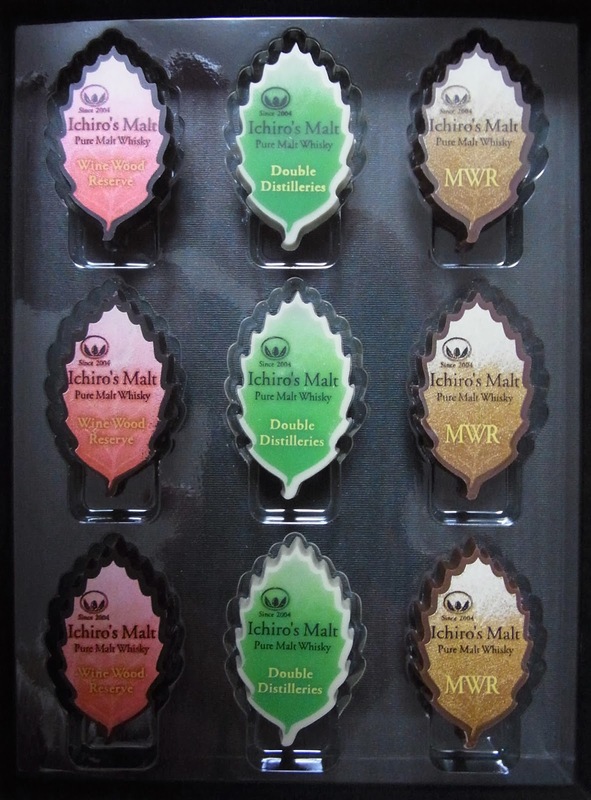 Every year, chocolatiers team up with Japanese whisky makers to try and come up with products that are just that little bit different… Last year, there was a set of Ichiro’s Malt ‘Leaf Label’ chocolates (Wine Wood Reserve, Double Distilleries and Mizunara Wood Reserve-flavored) and Kirin came up with chocolates filled with whisky jelly (based on their entry-level 50°). 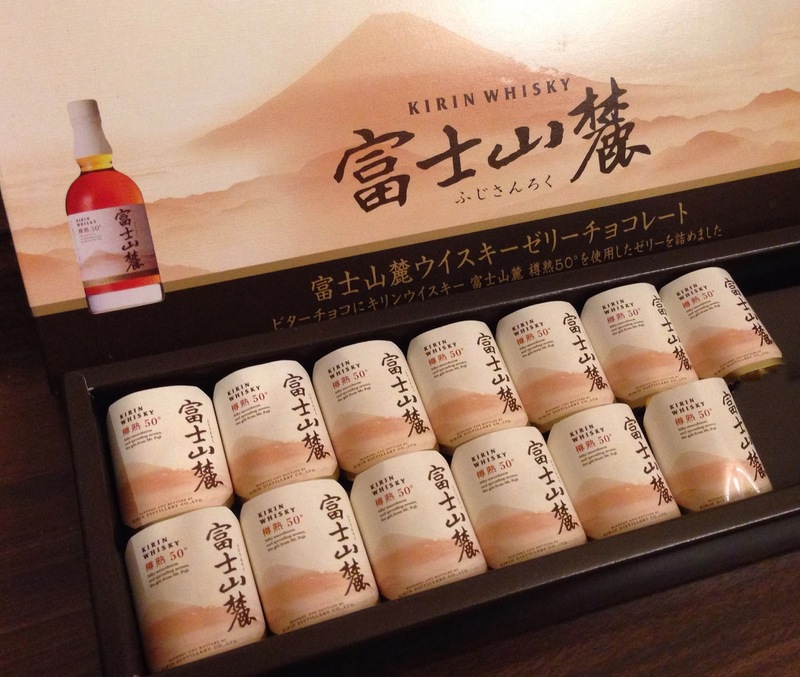 Royce, one of the biggest Japanese chocolate manufacturing companies, have been selling ‘nama choco’ with Suntory whisky (Hakushu, Yamazaki, …) flavours for years. There’s nothing wrong with these products, but they’re all a bit gimmicky. In all of the above cases, it would be better to just buy a bottle of the whisky and some decent chocolate and consume them at the same time. That would be more collaboration than the ‘whisky chocolates’ you find in the stores. So, when Maxim de Paris’ glitzy Ginza store announced that they had prepared a set of chocolates using premium Japanese whisky, we thought: here we go again… But the moment we tried Maxim’s ‘Chocolat Nippon’ set, we knew that finally someone had gotten it right; finally, someone had created a product in which the whisky was the equal partner of the chocolate. 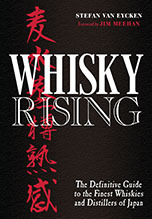 They used the best chocolate they could source and some of the best whiskies from the Suntory range – certainly not cheap supermarket stuff. They came up with three kinds of bonbons: a milk chocolate bonbon featuring Hibiki 21, with tiny pistachio, Lorraine rock salt and cinnamon accents; a white chocolate bonbon with a ganache based on Hakushu Heavily Peated malt and a little touch of mint; and a dark chocolate bonbon built around Yamazaki 18. 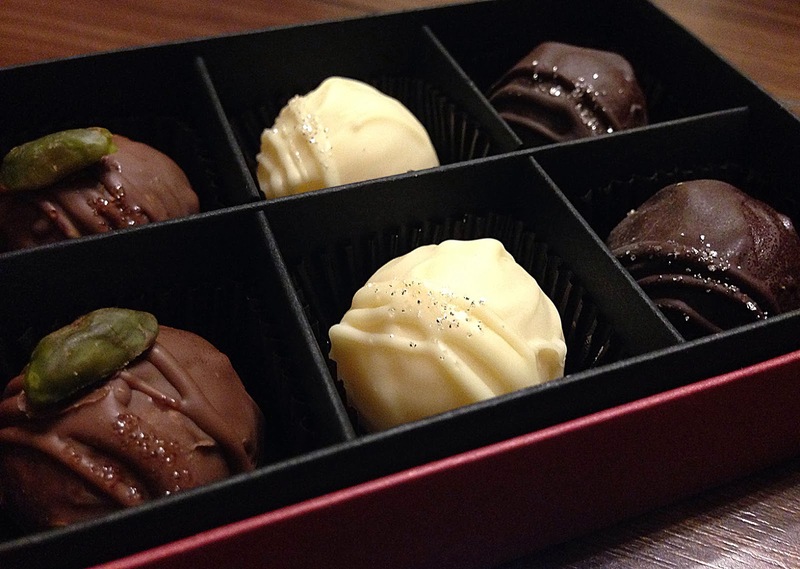 They are all little marvels but the Hakushu Heavily Peated white chocolate bonbon is worth the price alone. A set contains 6 bonbons (i.e. 2 of each type) and there are just 100 sets available. It's clear they went for quality, not quantity. 'Chocolat Nippon' was launched on February 1st and is available exclusively from Maxim’s stores in Daimaru Tokyo and the Sony Building in Ginza. If you’re quick, you should still be able to get your hands on a set or two (one to give to someone, and one to keep for yourself! 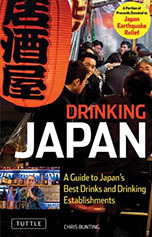 ), because (a) they’re not cheap (3,900 yen for a set of 6), and (b) the staff at Maxim’s is actually trying to deter customers from buying this unwittingly. When I phoned them – and then, when I showed up at their store – they told me, not without serious concern: “these chocolates contain whisky that’s as high in strength as 48%... are you sure that’s what you want?” The thing is, the whisky really is that prominent. Not that a set will give you a hangover, but the whisky is more than just a wee flavouring agent or a gimmick here. Someone finally did it… eating these bonbons you can just feel that the whisky and the chocolate are pleased to be together. Chapeau! They are really good - drop as many hints as you need to. One thing's for sure, you'll love these little beauties.